Coding, once considered an arcane craft practiced by solitary techies, is now recognized by educators and theorists as a crucial skill, even a new literacy, for all children. Programming is often promoted in K-12 schools as a way to encourage “computational thinking”—which has now become the umbrella term for understanding what computer science has to contribute to reasoning and communicating in an ever-increasingly digital world. Kafai and Burke describe contemporary examples of computational participation: students who code not for the sake of coding but to create games, stories, and animations to share; the emergence of youth programming communities; the practices and ethical challenges of remixing (rather than starting from scratch); and the move beyond stationary screens to programmable toys, tools, and textiles. Yasmin Kafai is Professor of Learning Sciences at the University of Pennsylvania’s Graduate School of Education. She is the coauthor of Connected Play: Tweens in a Virtual World and the lead editor ofBeyond Barbie and Mortal Kombat: New Perspectives on Gender and Gaming, both published by the MIT Press, and The Computer Clubhouse: Constructionism and Creativity in Youth Communities. Quinn Burke is Assistant Professor in the Department of Teacher Education at the College of Charleston. "In the 21st century, computer science is just as foundational a field as any. As Connected Code explores, learning to build technology—rather than merely consume it—is increasingly relevant to participation in modern society." "In Connected Code, Yasmin Kafai and Quinn Burke update the vision of Seymour Papert’s Mindstormsfor today’s world of social media, maker spaces, and the ongoing ‘digital divide.’ The authors show how the goals of Seymour Papert and John Dewey can be realized in the context of today’s technologies, while pointing out who is not yet privileged to participate in modern media. Both a history of ‘code’ in education and a call to action, Kafai and Burke's book shows us the best of making computing work for student learning—and where we are still falling short. I recommend it to teachers and researchers alike." 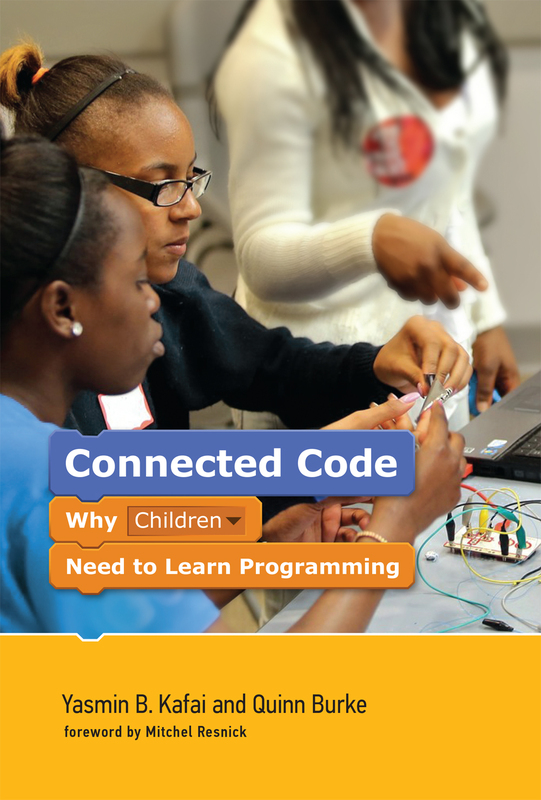 "For anyone interested in children’s education and 21st-century learning, Connected Code is a must. Within these pages is a call to action: how we can assure that the transformative learning occurring in the digital ‘maker’ movement is brought into public schools, assuring that all students—not just the most privileged—will be involved and engaged."